Healthy children benefiting from improved sanitation and safe drinking water in their schools, not having to contend with avoidable life-threatening illness including diarrhoea and worm infections. Motivated school girls who do not have to miss lessons during their menstrual cycles due to lack of appropriate hygiene facilities at school. More humane learning environment and conditions conducive for whole child development. Create Good Sanitation Practice as a lifestyle and empower children as Sanitation Ambassadors. Increase access to safe drinking water and safely managed sanitation with handwashing services. Improve hygiene conditions and raise awareness through training and active participation. Protect groundwater through environmentally friendly wastewater management and reuse. Support maintenance and repair of sanitary facilities. This is what most children in the Mukuyu village schools, a rural region in Kitale, Western Kenya experience every day. Hand of Progress e.V., a non-profit association, was founded for the purpose of bringing long lasting change to rural schools in Kenya through safely managed water, sanitation and hygiene (WASH) services. Our work is a practical expression of love that is inspired by God’s love towards humanity and His call for justice to the needy. 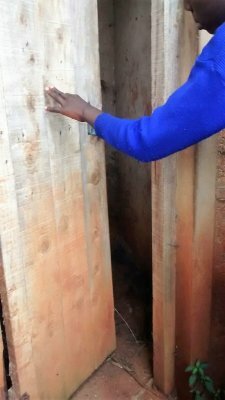 If you choose to support Hand of Progress e.V., your donation(s) will go into improving the health and overall well-being of school children through the construction of school toilets, digging water wells and related sanitation services.